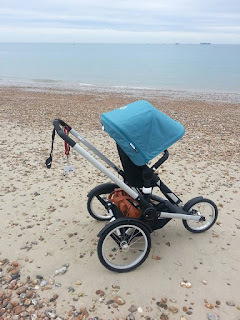 Mum of Five Staying Sane: Our first week with the fabulous Bugaboo Runner. 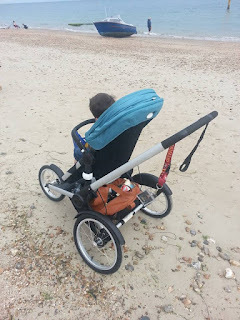 First thoughts on our adventures with Bugaboo. So easy to push with a toddler on board and great on the beach too! Our first week with the fabulous Bugaboo Runner. 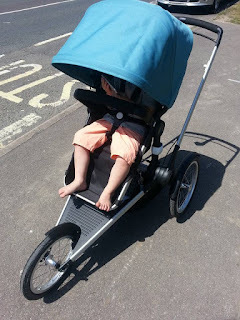 First thoughts on our adventures with Bugaboo. 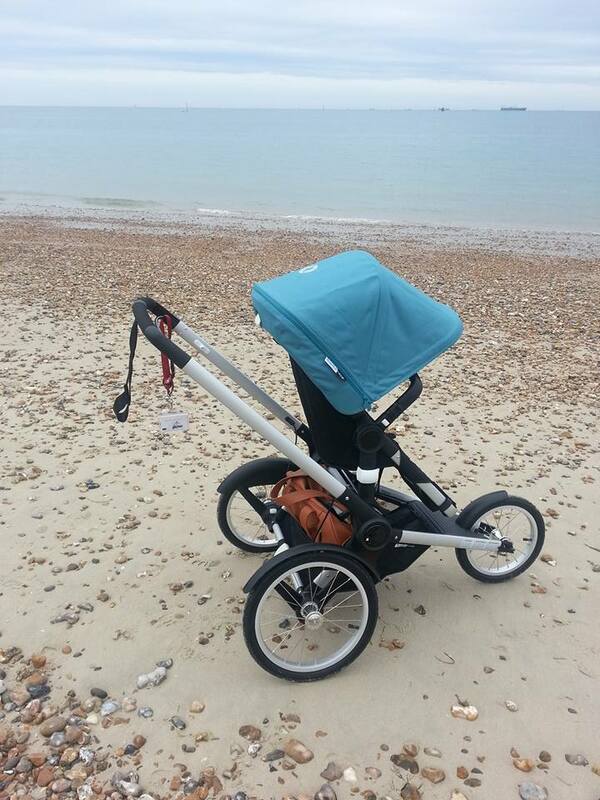 So easy to push with a toddler on board and great on the beach too! Our Bugaboo Runner arrived this time last week and we were so keen to get straight in the box and assemble it! 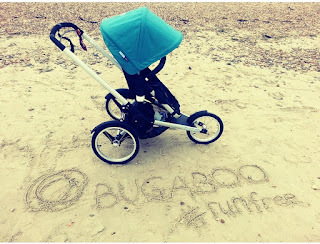 The Bugaboo Runner on the beach! 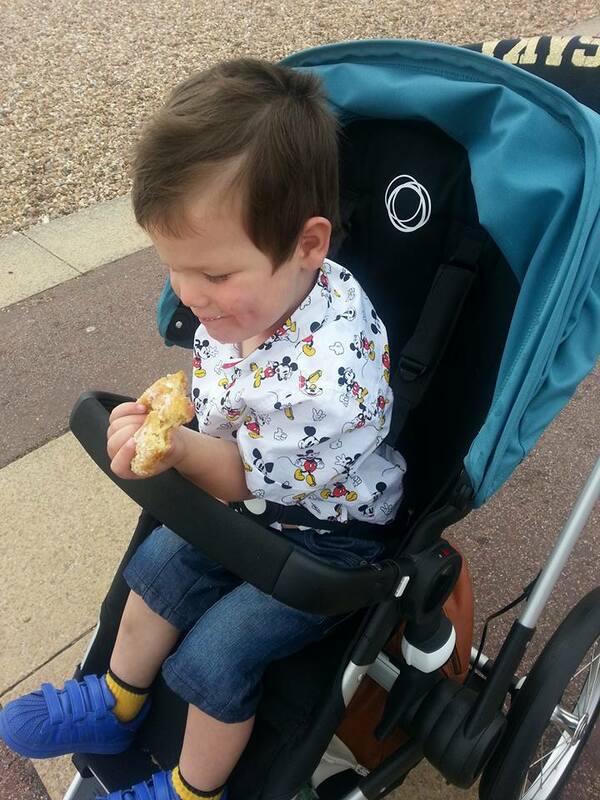 Our pram days are limited but Thing 5 still uses a pram a lot and as we do lots of walking it's always nice to have something that is easy to push too as well as comfortable for him. So far the Bugaboo Runner has been to the shops, through the woods, on the school run and to the beach! I absolutely love it. It is so easy to push it just glides along even with a hefty toddler on board! 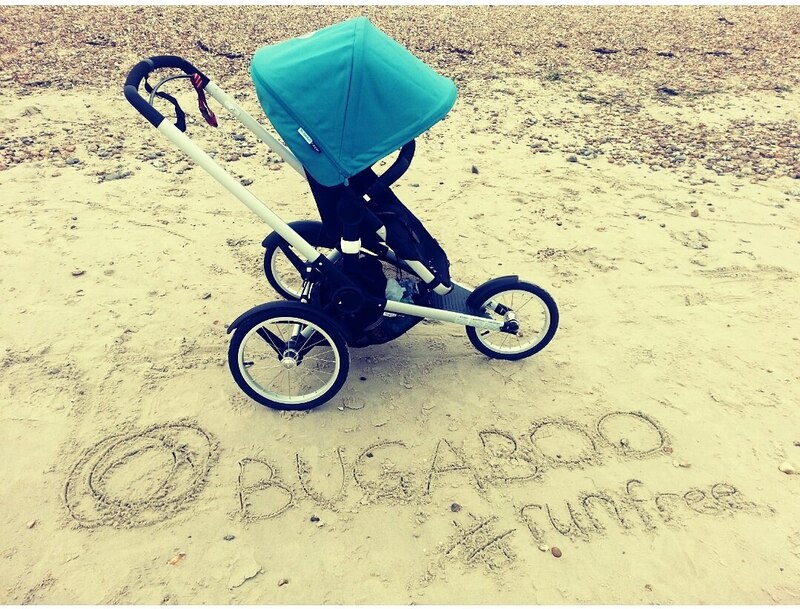 As we walked along the sea front on Sunday afternoon a lady walked past and said to her husband 'Ooh that's the new Bugaboo Runner', it's always nice to hear people comment and she had obviously seen and heard about the Bugaboo Runner previously. Then we hit the beach. It glided across the sand and pebbles with ease and straight from the path down to the waters edge. It's occupant then soon jumped out for a splash in the sea! I took a few pictures whilst we were there as it's always good to get pictures of the pram being used for different purposes, we aren't always at the beach so it was nice to be there and have the Runner to use. Our visit to the beach with the Bugaboo Runner, yes I let Thing 5 eat a sugared doughnut in there too! It is definitely a Runner stroller. Although my intentions to use it as such were good I have yet to run through the local woods on one of my many evening outings with Thing 5 in tow. With it's long wheel base and ability to fit any Bugaboo seat unit from the Bee (2010 onwards) to the Cameleon, Donkey and Buffalo seats, it's versatile too. I bought it as a complete stroller as I don't have an existing Bugaboo stroller but if you do you can buy just the Runner chassis only and use your existing Bugaboo seat. We've also been on the local bus, just to test that it fits ok! It past that test and we also managed a bit of food shopping in the basket underneath. Over the next few weeks I will get up and running more and will be back with more Bugaboo Runner adventures. For now all we can say is that we love it. I love using it and it will get used lots over the months to come. We will keep you updated on how it handles itself through the woods as a Runner stroller, maybe when it cools down a bit! !